Low-profile back support with removable rigid panels and the Boa® Fit System. Are you suffering from low-back pain? 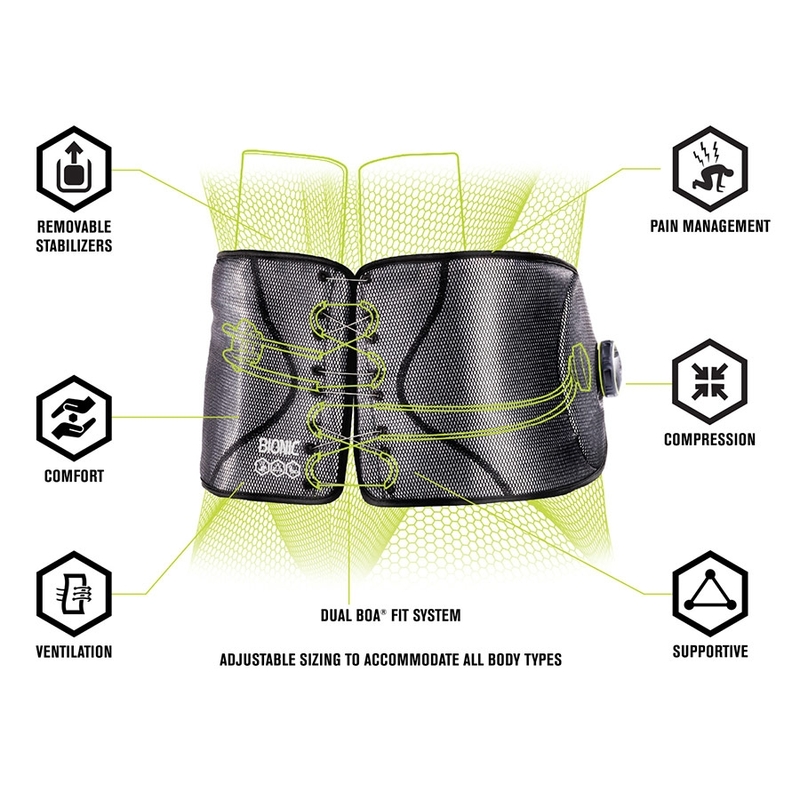 The DonJoy® Performance Bionic™ Reel-Adjust Back Brace can help you manage your back discomfort whether you need support during low-impact activities or work. Designed with removable rigid panels and the Boa® Fit System, this back brace allows you to make quick adjustments so you can have a comfortable, secure fit when moving. 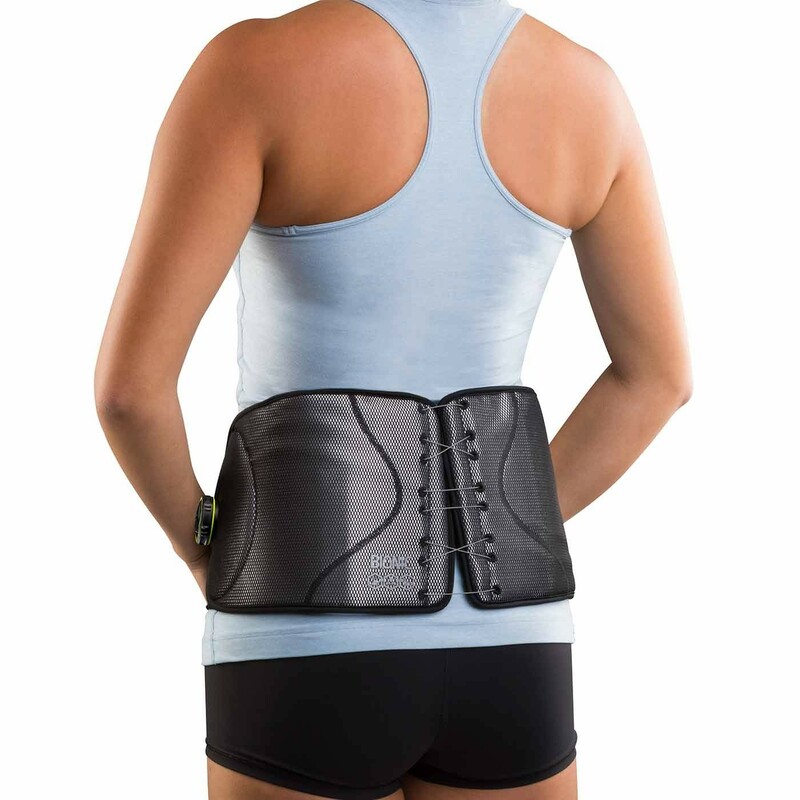 The DonJoy® Performance Bionic™ Reel-Adjust Back Brace is a low-profile back support (from L-1 to L-5) with removable rigid panels that's designed to help manage low-back pain, lumbar control, and low-back sprains and strains. Easy to adjust, the Bionic™ Reel-Adjust Back Brace is constructed with the Boa® Fit System that allows for quick adjustments and a secure fit when moving. Size is based on waist circumference.